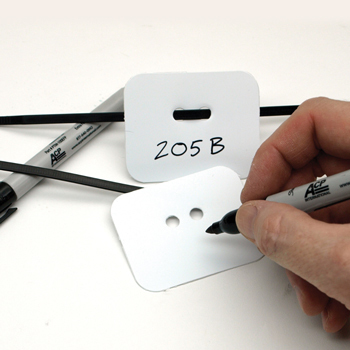 ACP Blank ID Tags allow flexibility in identification and can be written on with a permanent Rain or Shine™ pen. 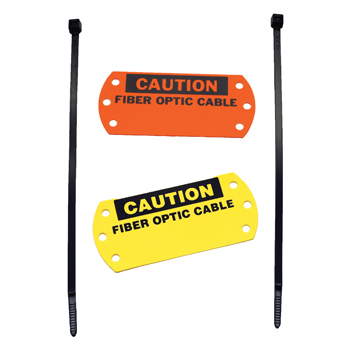 These durable Cable Tags can be written on with a Rain or Shine™ pen and are virtually indestructible. 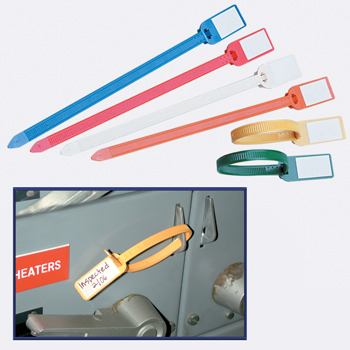 Use these colorful tags to make information highly visible and to idenitfy ownership indoors or out. 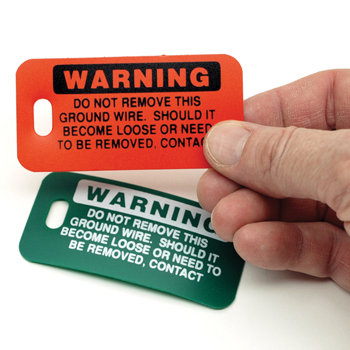 The versatile Coverall Tags™ come in standard or custom color combinations with a protective cover to perserve the written message. 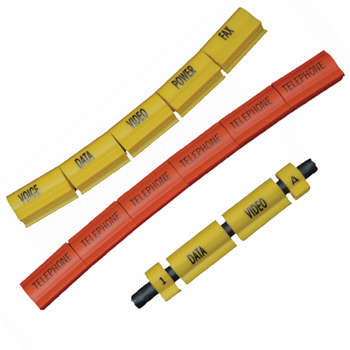 ACP Ground Wire Tags identify ground connections and give a warning not to remove or disconnect. 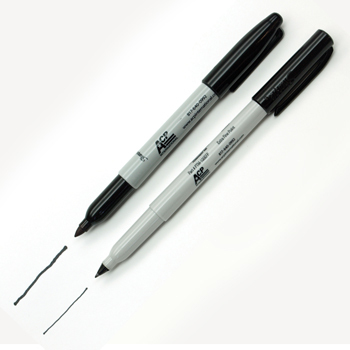 ACP Rain or Shine™ Pens are custom made by the makers of Sharpie® Markers exclusively for ACP International. 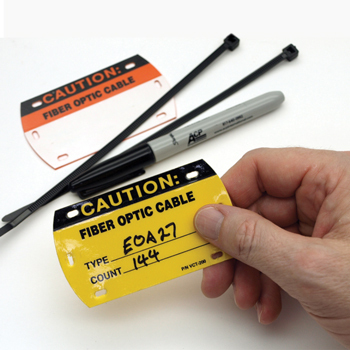 SlipLoc Markers are ideal for tagging and labeling cables on premises.